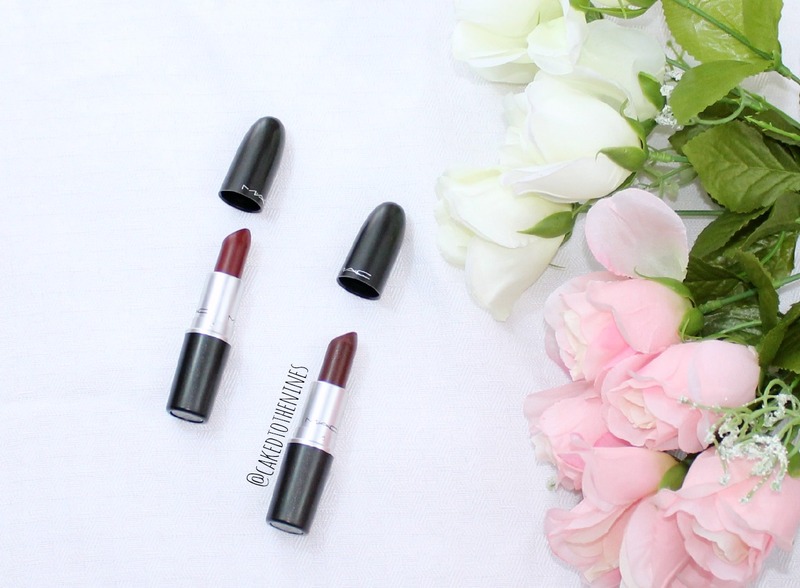 Diva and Sin are two popular MAC lipsticks that are part of their permanent range. Both shades are gorgeous deep burgundy colors that are perfect during the fall and winter and might seem similar in theory, but are actually quite different. I know I went through a little Sin-obsession after I purchased it this past winter, and it was basically my go to shade. Both shades are gorgeous, but if you don’t want to buy both of them, which one should you buy? 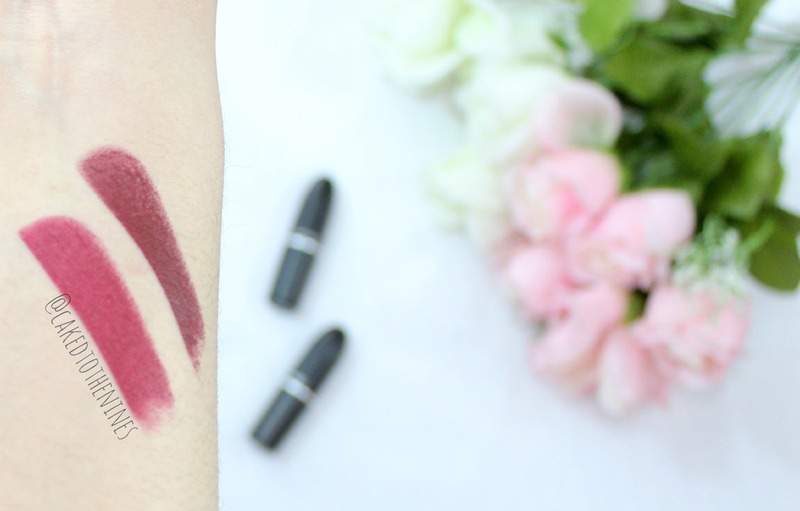 I’ve done a post on Ruby Woo vs Russian Red, but today we will be tackling MAC’s Diva vs Sin. Diva [UK] | Diva is a beautiful deep reddish burgundy color. The formula is matte, but it is not super drying so it does not drag or pull on the lips. It is quite creamy and glides on easily. One swipe of this lipstick is extremely opaque and since the formula is creamy and pigmented it applies seamlessly; it is not patchy, and even if your lips are slightly chapped, it will look good. 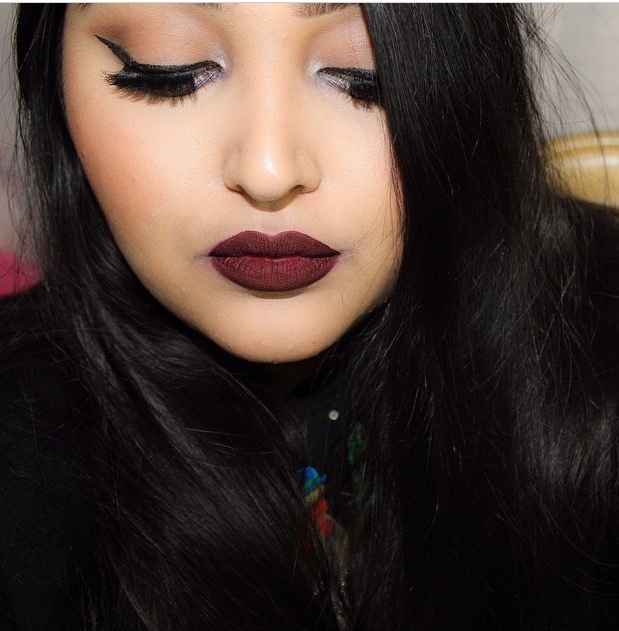 Sin [UK] | Diva is pretty dark, but Sin, another deep burgundy shade, is even darker and has a brown undertone. Diva is definitely more red toned compared to Sin. Basically, Sin is more vampy. Sin also has a matte formula, but it is slightly drier. It still glides on nicely without dragging or pulling on the lips, and it isn’t overly drying, but because it has a drier consistency it can apply slightly patchy at times, especially if your lips are dry. Unlike Diva, this will emphasize any dryness on your lips so making sure your lips are exfoliated and moisturized is a must. The Verdict | Honestly, these shades are so different when you actually compare the two. I always thought they were very similar, and that is why I didn’t buy Diva for a while after I got Sin. However, they’re very different. I love both of them, but it just comes down to color preference with this one. If you prefer more of a red toned lipstick, Diva is the one for you. However, if you like to go full on vamp, I would suggest Sin because it is a lot darker. Although both shades are matte, the formula is slightly different. Diva is creamier so you can get away with having slightly chapped lips, but Sin will not be so forgiving (pun intended) because it is a bit drier. Both are very pigmented and long lasting so they leave behind a nice stain on the lips, which means you’ll still have some color even after you eat and drink. If I had to pick one I would pick Sin just because it is darker and vampier. However, I’m a #lipstickhoarder so I had to have both. If you’re like me, I think you should get both as well ;). Have you tried any of these lipsticks? Which one do you prefer? Let me know in the comments below!